When we think of the quintessential villains to have been a thorn in the side of DC’s more prominent adolescent heroes, it’s only understandable that Deathstroke be among the first that come to mind. Thus, it makes sense that he show up in some capacity in this summer’s animated feature Teen Titans Go! To The Movies. Normally, that slot’s been reserved for Ron Perlman, whom we know to have voiced the character in the TV series that gave way to the big screen sibling. But in a way not dissimilar to how the studio acquired a bigger name to voice Superman such as Nicolas Cage, some recasting was apparently in order here. 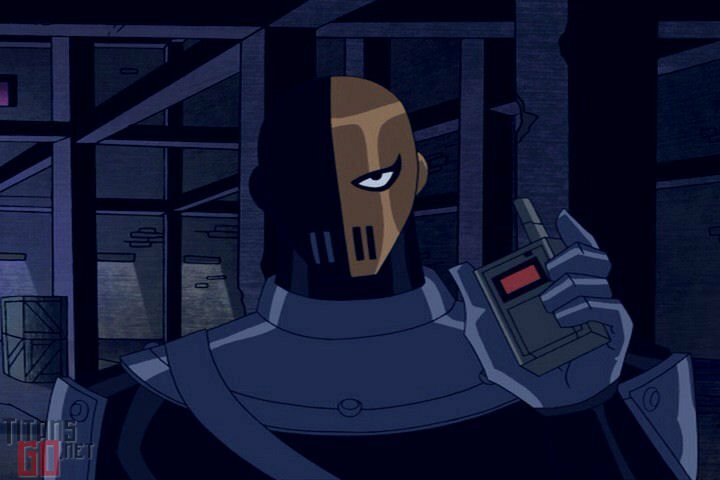 When it comes to this particular iteration of Deathstroke, he’ll be voiced by none other than Will Arnett, whom we knew to be attached to the project from the beginning. The problem, however, was that we didn’t know which character he’d be voicing – and now we do. Thanks to a Tweet coming to us by way of Omega Underground’s Caleb Williams, we’re able to confirm Arnett in the role, which was apparently revealed during some kind of presentation at CinemaCon. In it, the Titans joke that he’s Deadpool, a character that’s actually based off Deathstroke. Still, it remains to be seen if he’ll be called “Deathstroke” or simply “Slade” in the theatrical release. If you’ll recall, the animated series had to go with the latter because the former was thought to be too grim for children. Granted, the movie is somewhat of a different ballgame, but you’d think some continuity will still be established. Teen Titans Go! To The Movies is set to open in theaters on July 27, 2018, and will be directed by Aaron Horvath and Peter Rida Michail, from a screenplay by Michael Jelenic and Horvath. Scott Menville (Robin), Greg Cipes (Beast Boy), Khary Payton (Cyborg), Tara Strong (Raven) and Hynden Walch (Starfire) star.